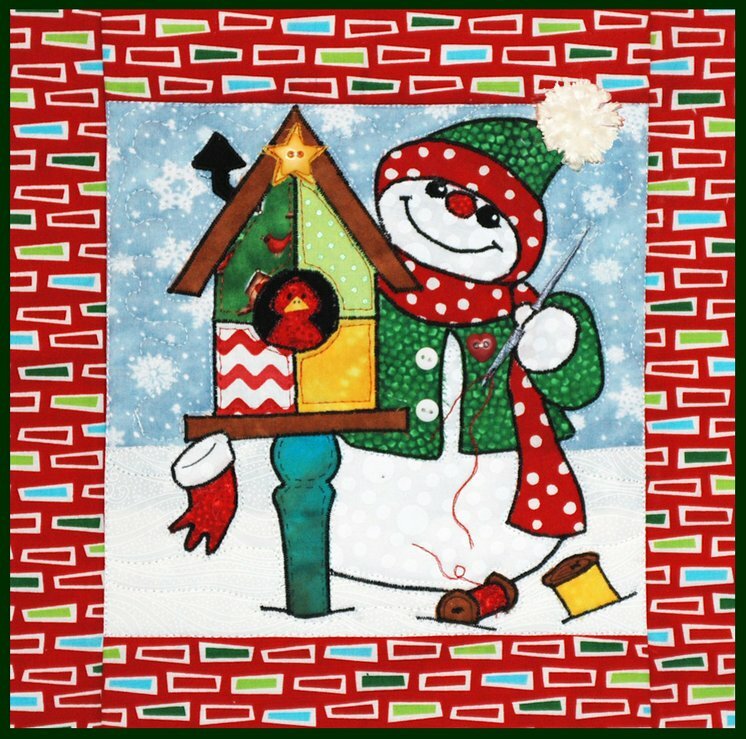 The snowman is ready for Christmas with his Holiday jacket as he keeps up the sewing on the bird house. Talk about good insulation! Designed to hang on the metal stands, these 12" x 12" can be made into wall quilts, pillows, table runners etc. There is no limit to the things you can make with these cute patterns.